65 Gallon Keep your emergency supplies safe and secure with this extra heavy duty 65 gallon container. 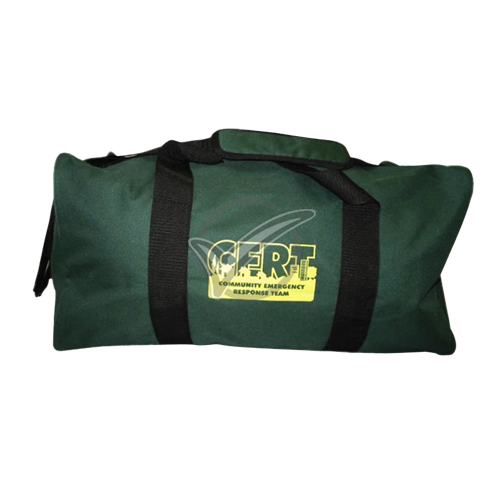 It has a lock clasp and is perfect for storing your 72 hour kits, emergency and disaster supplies. 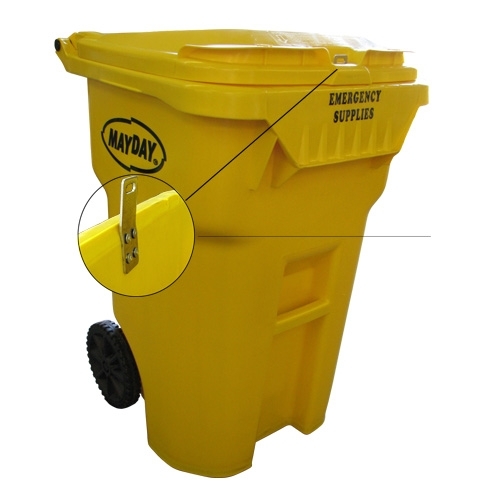 When building your own kits, you need a place to store your supplies - and this high visibility yellow color ensures your emergency supplies can be found quickly when needed most. It is also clearly labeled with "Emergency Supplies" on the front. Keep your emergency supplies safe and secure with this extra heavy duty 65 gallon container. It has a lock clasp and is perfect for storing your 72 hour kits, emergency and disaster supplies. When building your own kits, you need a place to store your supplies - and this high visibility yellow color ensures your emergency supplies can be found quickly when needed most. It is also clearly labeled with "Emergency Supplies" on the front.